The Lord said to satan : " Well, everything he has is in your hands, but on the man himself do not lay a finger ". Job 1 : 12a.
" Hands up ! Don't move ! Open the strong-box ! " They were 5 gangsters with automatic pistols & kalachnikovs (russian machine-guns - Note that it's forbidden to use gun in Madagascar). The small room of the jewellry was very noisy during 3 or 4 minutes because there were two women's cry (those of Pierrette & those of my colleague) plus the noise of broken glasses (they broke the jewellry shop-windows with their kalachnikovs to steal jewels after) plus the noise of loud insults. It was very noisy. I like movies but it's very different to see these actions on a TV set and to experiment them. Our story was the first jewellry attack in Antananarivo because there were 3 attacks and on the 3rd attack, two policemen were killed by gangsters bullets (always in the same neighborhood). It's just to say you that It wasn't a play. Everybody was afraid : the jewellry guard, the jewellers, my workmate, my future spouse and I think the gangsters too (I think they were afraid of policemen). Yeah ! Everybody was afraid. Everybody except me. Outside the jewellry, other gangsters shooted on air to stop the crowd to not help us. I wasn't afraid because I felt the HOLY SPIRIT inside my body. I was cool without fear & without regret . Without regret even if the gangsters stole our money. We had to pay our marriage rings twice times. In front of danger, I still had the force to look at the burglars and to answer them with smile & joke. I can't do this in general but I can do this at this moment. It was not natural. It was unforgettable for me. The policemen arrived ... one hour after action. They took pictures & finger-prints but they haven't found the gangsters until now. I think there was a " big responsible " who commanded this action. Pierrette & my colleague couldn't sleep the night of this event and they had a headache but I slept without anxiety and without headache after my evening-prayer-before-sleeping. Of course, I was ready to die, I was ready to be kill with a bullet in my head during this action. I praid for my fiancée and for me & I put our soul in the Lord's hands because all is possible with gangsters' attack. At home, I remembered the Job's verse (cf above). When I told this story to our pastor, he said us to thank God because God showed us with this event his great Love & his glory. I've many personal testimonies like this and I can tell you their stories if I meet you one day. For the glory of God - Amen ! Madagascar, island of emotions, is a very special world. As an island, it could keep its traditions, its manners, its fauna and flora which have a highly endemic character. 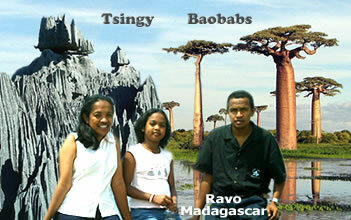 Madagascar has become very attractive for people in search of discovery, emotion and trekkings. As a professional - since 1993 - in organizing and realizing trips in Madagascar, I make the following proposal to you. A proposal where you discover the National Parks of the Great Island through its wonders. A special Trekking proposal. A trip to Madagascar proves to be an authentic and natural experience for one who is able to do it in a sensible and intelligent way. Shall we see each other soon ? Thank you for your trust. Arrival in Tana. Reception at the airport and foreign exchange operation. 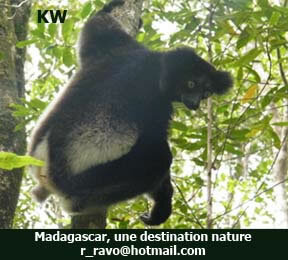 Direction East of Madagascar in order to discover the region and the lush vegetation of the Canal of the North Pangalans. Along the road, you will visit a private reserve ( crocodiles, butterflies, insects and you will see a great variety of chameleons of all sizes and colours ; it is the place in Madagascar where you can best observe the largest number of different species ). Cruise on the Pangalans Canal in the late afternoon ( with a small vedette motorboat ). Trekking to visit a lemur reserve ( many species in the wild ; here, you will have an opportunity to see the largest species in the world, the Indri-Indri ). 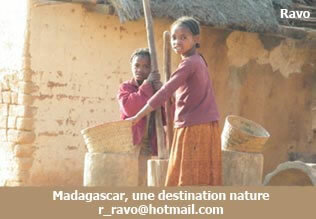 Splendid views and visit of a typical village in the East coast of Madagascar. Also discovery of the carnivorous Nepenthes plants. Return by boat via Manambato along the Pangalans through lakes, rivers and lagunas with traps for fish ; you will occasionally see local canoes, rafts and bush-taxi boats. 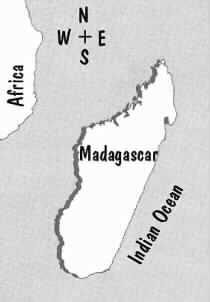 Direction South of Madagascar so as to discover this region and its varied landscapes ( its red laterite houses, its innumerable terraced ricefields etc. ). Visit of workshops and stores of miniature bikes and rickshaws, of embroidery and precious and semi-precious stones along the road. Trekking with early departure so as to discover the Zafimaniry region ( Antoetra and Ifasina ). Two very typical villages that are located far from the beaten track. You will feel completely removed from your usual surroundings in this landscapes full of valleys, hills and mountains. Zafimaniry art, due to its beauty, has been classified as World Heritage of UNESCO since 2003. Continuation on South-Eastern Madagascar through secondary and primary forests, with waterfalls and panoramic views along the road. Possibility of massage and bathing in a thermal spa in the late afternoon. Trekking to visit Ranomafana National Park ( to see other lemurs ) through a humid and dense tropical forest, through rivers and cascades. Continuation on South Madagascar through big granite rocks and superb terraced ricefields, on the way you discover the wonderful Betsileo region. Trekking to visit Andringitra National Park, a mountainous region of bare granite plateau with xerophite mosses – panoramic views and waterfalls. 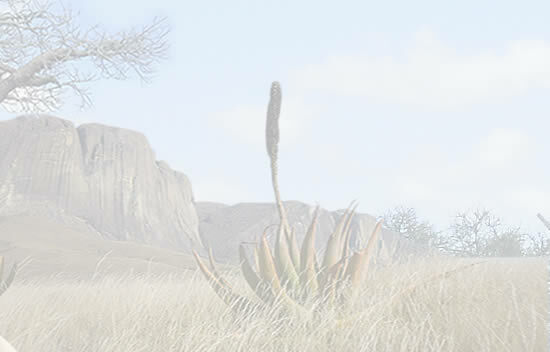 Continuation on South Madagascar through its vast deserted plateaux and its large herds of zebu cattle in transhumance. Trekking to visit the Isalo National Park, a moonlike landscape, sandstone carved through the ages, similar to the Grand Canyon in the USA. Bathing in natural pools and oases along the trek. Continuation on South Madagascar through semi-deserted landscapes of thorn bush, through villages and Mahafaly tombs, through saphire mining villages and through sand dunes and typical Vezo fishing villages on the South-West coast of the Great Island. Possibility of bathing in the afternoon, or discovery of the typical Baobab forest of Ifaty. Free morning with bathing ad lib in one of the lagoons of the Mozambique Canal. Transfer to the airport in the afternoon and flight to Tana. Tour of the Malagasy capital with shopping in the crafts market and visit of the Botanic and Zoological Park where you can find an almost complete range of the fauna and flora of Madagascar, as well as of its ways and customs. Discovery of the upper and lower part of the city, as well as the monuments of the city prior to transfer for the return journey to Paris. All included EXCEPT : your international flights, visa, insurance, your personal expenses, tips for porters, for waiters etc., and all sorts of drinks. You will settle ALL, once you are on the spot, as we progress ( cash, in euros ). Anti-mosquito spray and cream, pocket torch and spare batteries, head torch if possible, swimsuits, light clothes as well as clothes to keep you warm ( for the high grounds ), cameras, small padlocks for your luggage, your personal medicines ( current antibiotics, antidiarrhoea, antiseptics, Betadine, compresses and cotton, ointment for sprains, lip salve and other personal medicines, protect yourself against malaria, e.g. follow a treatment ) sun cream, walking shoes or closed sports shoes, binoculars if necessary, old clothes ( children’s and adults’ ) to give here and there during the trip ( also biros, colour pencils, old dolls, teddy-bears, small balloons, etc. ) swiss knife, k-way or windcheater, hat or cap, etc. AND cash money = euros. 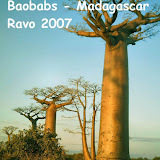 If you want to discover Madagascar, Ravo is your man to organise your trip from A to Z. Thanks to his deep knowledge and boundless enthusiasm we had a truly first class visit of this wonderful island. Without a doubt, I do recommend, wholeheartedly.